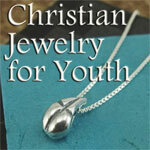 From A Little Faith Pewter Jewelry... Jesus was crucified with 2 sinners: one repentant, the other unrepentant. 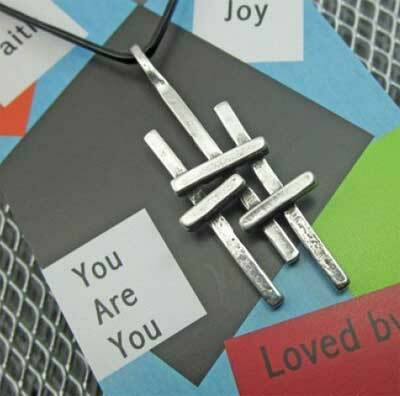 Let this abstract Triple Cross in pewter be a personal reminder that by God’s grace we can be repentant sinners. Measures 1 1/2" x 5/8" and is shown on 24” of leather..
We do offer volume discount pricing to nonprofit organizations.